Walser’s alternate, preferred version of his most famous tale. A pseudo-biographical “stroll” through town and countryside rife with philosophic musings, The Walk has been hailed as the masterpiece of Walser’s short prose. Walking features heavily in his writing, but nowhere else is it as elegantly considered. Without walking, “I would be dead,” Walser explains, “and my profession, which I love passionately, would be destroyed. Because it is on walks that the lore of nature and the lore of the country are revealed, charming and graceful, to the sense and eyes of the observant walker.” The Walk was the first piece of Walser’s work to appear in English, and the only one translated before his death. However, Walser heavily revised his most famous novella, altering nearly every sentence, rendering the baroque tone of his tale into something more spare. 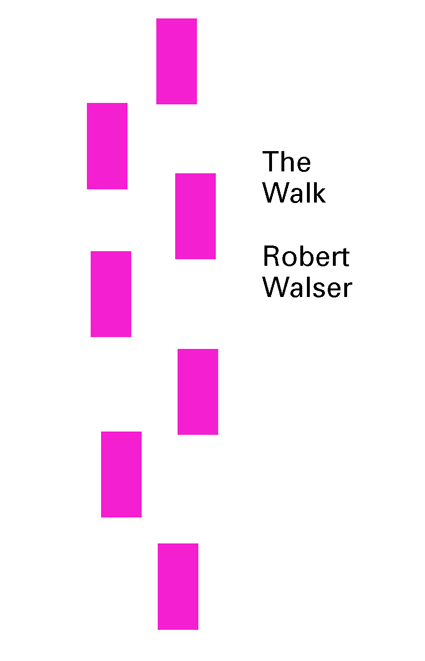 An introduction by translator Susan Bernofsky explains the history of The Walk, and the difference between its two versions.